Does it work within the broader strategic context for planning, designing and decision-making? For example, National Urban Policy, Urban Design Protocol, State Metropolitan Strategy, Local Environment Plan and Development Control Plans. Does it consider policies and initiatives such as affordable housing, urban design excellence, sustainable transport, environmental leadership, accessibility and universal design principles, healthy communities and job creation? Has an urban design strategy been prepared, and has it been continually improved throughout the design review process? Has there been a thorough analysis of the existing site? Does the design relate to the surrounding area, precinct or neighbourhoods, as well as the broader region? Does the design relate to existing patterns of local development? Does the design relate to the local topography, landscape and biodiversity of the site? Do the facilities, buildings and public spaces reflect the current and future needs of the community and other users? Will the project have a sense of community identity and local character? Are the choices of materials, building techniques and detailing consistent with or complementary to the local context? Will the project delivery or construction process involve significant disruption to surrounding social or economic activities and have plans been put in place to reasonably minimise the disruption? If it is located near major infrastructure, will it potentially encroach upon the future efficiency and use of that infrastructure?For example, an airport, port, train or freight route, hospital or university campus. If the development is a major piece of infrastructure or industry, does it minimise its impact on surrounding communities?For example, noise, pollution, air quality. If it is a large precinct or major piece of infrastructure, does it facilitate good physical connection to, and between, surrounding communities? The Scottish Governments policy statement on architecture and place (Scottish Government, 2013). A comprehensive, national and voluntary environmental rating system that evaluates the environmental design and construction of buildings and communities (Green Building Council Australia). Australia’s only comprehensive rating system for evaluating sustainability across design, construction and operation of infrastructure (Infrastructure Sustainability Council of Australia). A national guide for planning, designing and creating sustainable communities that encourage healthy living (National Heart Foundation, Planning Institute of Australia & Australian Local Government Association, 2009). Australia’s National Urban Policy, outlining how the Australian Government’s future actions will be shaped to produce better outcomes for our cities (Australian Government, 2011). A resource package for local government to create supportive environments for physical activity and healthy eating (Queensland Government & Heart Foundation, 2010). A set of principles and performance based actions for designing Queensland Government buildings informed by best practice urban design (Office of the Queensland Government Architect, 2010). A comprehensive policy framework for sustainably managing growth in Far North Queensland to protect and enhance the region’s quality of life (Queensland Department of Infrastructure and Planning, 2009). A handbook with principles and guidelines to help planners, designers and developers achieve quality urban design and affordable living (Council of Mayors (SEQ) & Queensland Government and Australian Government, 2011). A comprehensive policy framework for sustainably managing growth in South East Queensland (Queensland Department of Infrastructure and Planning, 2009). A handbook containing guiding principles for the design of urban development in order to support the creation of attractive urban environments (Centre for Subtropical Design, QUT, 2010). A report setting out urban design principles for road infrastructure projects to improve their planning, design and contribution to the quality of public space (NSW Roads and Traffic Authority, 2009). A non-policy document using best practice urban design principles to support the design, urban renewal and growth of centres (NSW Department of Planning, 2011). A publication showcasing examples of well-designed residential projects from a wide range of housing types (NSW Department of Planning, 2011). A strategy outlining a strategic vision for the sustainable development and future infrastructure investment priorities for the Illawarra region (NSW Department of Planning, 2007). A regional strategy outlining a strategic vision for the sustainable development and future infrastructure investment priorities for the Lower Hunter region (NSW Department of Planning, 2006). A new plan to guide Sydney’s growth (NSW Department of Planning & Infrastructure, 2013). A plan for building the economy, providing quality services, renovating infrastructure, strengthening local environments and communities and improving the accountability of the NSW Government (New South Wales Government, 2011). A code setting the broad parameters within which good design of residential flat buildings can occur by illustrating the use of development controls and consistent guidelines (NSW Department of Infrastructure, Planning and Natural Resources, 2002). A plan for guiding the development of the City of Sydney for the next 20 years and beyond (City of Sydney, 2011). Guidelines providing best-practice advice for developing vibrant, high quality activity centres (Victorian Department of Sustainability and Environment, 2005). Guidelines for encouraging best practice higher density housing developments (Victorian Department of Planning and Community Development). Interim guidelines for assisting councils, designers, and developers in achieving new large format retail premises that are well designed and located (Victorian Department of Planning and Community Development, 2005). An easy-to-use guide on Victoria’s Planning System, clarifying the roles and responsibilities of all parties at different stages of the planning process (Victorian Department of Planning and Community Development, 2011). Advisory notes on the State Planning Policy Framework in Victoria (Victorian Department of Planning and Community Development, 2010). 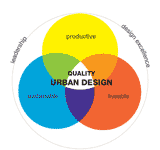 A charter to help embed good urban design in metropolitan and regional Victoria (Victorian Department of Planning and Community Development, 2010). A guide for better urban water management on the Swan Coastal Plain facilitiating consideration of the total water cycle at each stage of the planning process (Western Australian Planning Commission, 2008). A spatial framework and strategic plan establishing a vision for future growth in the Perth and Peel Region (Western Australian Planning Commission, 2010). A plan providing a regional framework for planning decisions in Geraldton, which emphasises Geraldton’s role in its region and Western Australia (Western Australian Planning Commission, 2011). A strategic plan for Greater Adelaide guiding state and local government decisions about managing growth and change, providing a leading approach to liveability, competitiveness, sustainability and climate change resilience (South Australian Department of Planning and Local Government, 2010). A design-led project for the redesign, renewal and reactivation of inner Adelaide (Integrated Design Commission, South Australia). A report providing guidance on the processes and issues for each phase of substantiating a public sector initiative including financial, economic, social, environmental and budget evaluations (South Australian Department of Treasury and Finance). A plan containing key strategic priorities for South Australia and 100 measurable targets for achieving its strategic vision (South Australian Government, 2011). A plan providing guidance on the inter-generational growth and development of Canberra, responding to new challenges such as climate change, water security, housing affordability and skills shortages (ACT Government Chief Minister and Cabinet, 2008).